This mod adds 55 Race Portraits! Thats right 55! In addition to that it modifies some minor races, and bring their number up to a total of 30 different minor races, thats almost triple the original amount in the game! This third version also adds 14 Custom Ship Styles that won't oversize parts, and 15 new Custom Races, and New Custom Race Options! If you downloaded Gauntlet's Minor Race Mod, please delete it and the race portraits it came with, and use this instead! Hi everyone! You can now Expand on this mod with my Upgrade Pack IE 4.0 I wanted to do a single mod upload again but there is too much info now for 1 ! anything in a folder called 'for the gfx race folder' needs to go into your gal civ directory you will see a folder for GFX note that you don't want to go to the gfx folder inside the galciv DA directory. Once in the GFX folder their is a folder called 'race' put all the contents there. There are also folders for ship templates and ship styles, you can find their directories under my documents/games GalCiv DA, just add them to there. finally their is a folder called Gauntlet's Race Mod 3.0, place this in your mods directory in galciv. how do i download this mod a readme file would be appreciated. the nature of my problem is when i download this mod i can't get it to run in the regular skirmish mode. if you could please tell me any info i would be so happy. i also had another thought. would this mod run on a vista computer. even though despite my problem this is a GREAT mod by the sounds of it. please reply soon! bubbles it would help if you could describe the nature of your problem, and not use an infinite ammount of exclamation points. Though I am sorry for not getting back to you sooner. I haven't check up in a while since I got into the Sins of a Solar Empire Beta. HEY guys i hate NOT getting help when i need it most! please help ME? HOW ON EARTH DO I GET THIS TO WORK! Actually some minors intentionally have major race logos. The reason being that there is simply not enough logos period! Now personally I have an extra 30 or so from the colored logos mod, but I can't apply them to the mod without giving out that Mod's logos, which without permission wouldn't be appropriate. So yeah some minors will be 'hiding' amongst majors lol. Some very nice new minor races there. I have noticed that a few of them do not initially have race logos and sometimes spawn major race logos. Might need to increase the amount of logos in the mod maybe? Uhmmm I wouldn't know honestly. I doubt it? 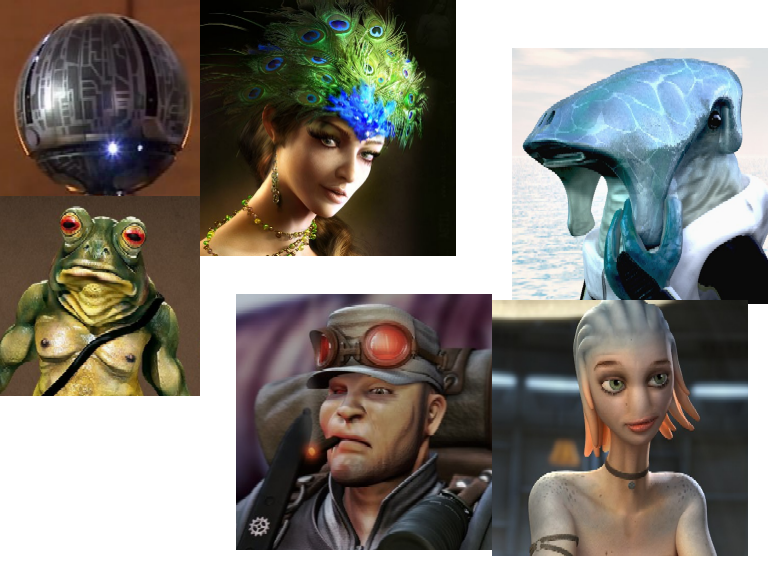 The minro race edits... are they Metaverse compatible? "So yeah, I think its stardock's naming procedure or something"
Some browsers can't handle downloads with spaces in the names properly. So just don't put spaces in the filename, and it'll be fine for everyone. I can't open it either. The computer just recognizes it as "File." Could you put it in a zip folder instead? The Mod adds 40 Race Images and brings the total minor races up to 24!! It is a compressed file with a readme, try downloading again, --- I tested it, worked fine for me, good luck. I downloaded it but what do I do with it. My computer doesn't recognize the file type. Having it in a compressed folder of some kind with a readme would be helpful.